Select your size for surprise items relating to shirts. Select your size for surprise items relating to pants. Select your size for surprise items relating to shoes. Select your size for surprise items relating to rings. You Never Know What Goodies You are Going To Get… The Mystery is the BEST Part! This is not just a monogram box. 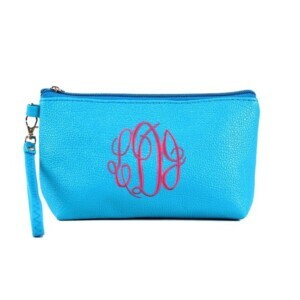 Your box will have monogrammed goods & more of our favorite things! 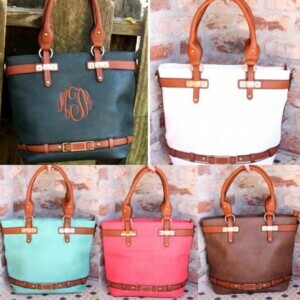 You can expect to receive surprises such as, Monogram purses, beach totes, swimwear, sandals, jewelry, clothes, and more! We believe quality matters! All boxes contain at least 2 items each month. 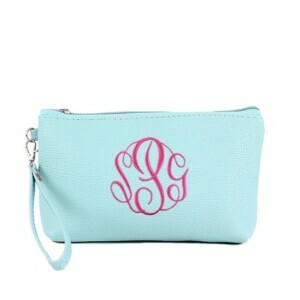 Small boxes include at least 1 monogrammed item and 1 other goodie. Larger boxes include at least 2-3 items with greater values and more monogrammed/personalized items. This is for a subscription to our Monthly Monogram Surprise Box. Your first charge will appear on the 1st of every month. For example.) If you purchased your box Jan 15th the charge will not go through until Feb 1st. Your first box would ship after the payment process on the 1st. Your credit card will then automatically be charged on the 1st of EVERY MONTH. If you do not like your box you can cancel at any time before the 1st of the upcoming month. Just contact us by phone and one of our employees will be happy to get feedback on why you were not satisfied and cancel your subscription. We know you will LOVE our monogram surprise and will be anticipating what surprise you will receive next. We are so excited to customized you your monogram surprise! Please make sure to post pictures once you receive your surprise!